Building a reputation of quality and honesty since 1904. Satisfying our clients’ needs with our company’s commitment to excellence. Old world craftsmanship, honesty and dependability – together with present day innovations. We offer many different services to satisfy all of our clients’ individual needs. Four generations have been building a reputation of quality and honesty in the building trades. 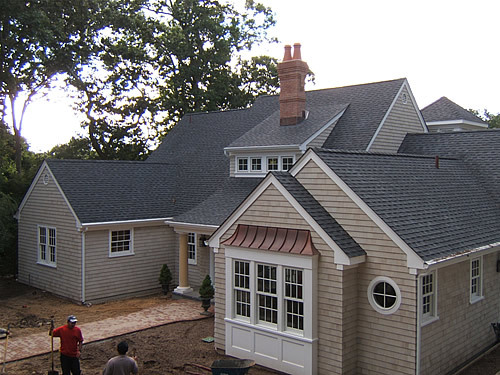 Gabrielsen Builders, located on the North Fork of Long Island, satisfies our clients’ needs with our company’s commitment to excellence. Taking characteristics from previous generations, such as old world craftsmanship, honesty and dependability while incorporating these traits together with the innovations of the present to create the standards of which we live by today. Whether you are just getting started or have plans in hand, we offer many different services to satisfy all of our clients’ individual needs. 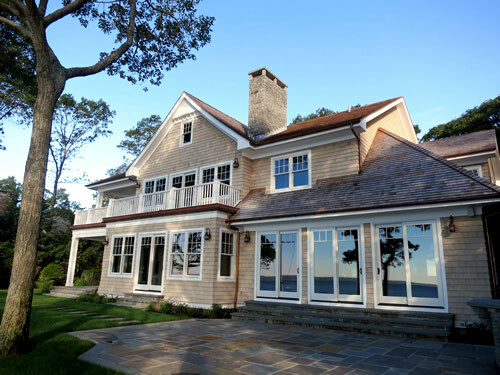 As a North Fork, Long Island custom builder, we take great pride in providing our clients with an authentic “Gabrielsen built,” custom home. Working as a team, we take your vision and turn it into reality. Many choices such as architectural design, molding profiles and cabinetry are to be made. Paying attention to every detail throughout the process assures you a true custom home for many years of enjoyment. 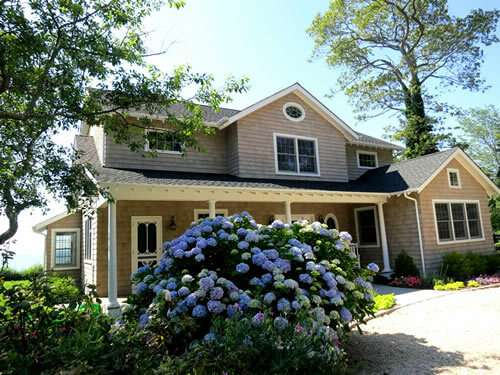 Many homes exist in some of the most pristine locations on the North Fork, leaving no choice but to renovate. Every job is different, but with creativity and expertise any home can be altered to meet any need. Some home renovations can be done within the existing structure only or may be combined with an addition. Whatever the situation, our skill and experience will help you accomplish your project. A common approach to enlarge current living area is by creating more space. Not being overlooked, such things as design and existing feel are very important. These items are critical in making the end product feel as if it were originally there. Whether adding on to a single room or building an entire new floor, we are proud in having completed many home additions throughout the North Fork successfully in the past. Preserving our past via home restoration is one of the most rewarding lines of work our company performs. 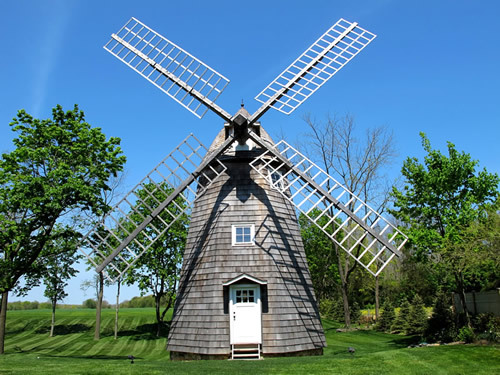 Construction technique varies greatly from the eighteenth century to today. Being well-equipped and prepared allows us to accommodate any situation. We are proud to say we have restored some of the oldest buildings on the North Fork. Currently, our earliest project dates back to 1715. I am writing to let you know how happy Cathy and I are with the house you built for us in Jamesport. From the foundation to the last coat of paint it was a pleasure to work with you and your entire crew. Your attention to detail is what impressed us the most. You should be very proud of your company and all the people you have working for you. Gabrielsen Builders has always had a great reputation and now I know why, Thank you very much for a job well done. Sue and I would like to express our sincere appreciation for the wonderful job Gabrielsen Builders did in constructing our new home. You completed the project on schedule and within budget, which in this day and age is something you should be commended for. Your availability and your response to our questions during the project was always prompt. The quality of work and your attention to detail is exemplary. We appreciate that you are a “hands on” builder, always on site or available by cell phone or email. All of your employees and subs were polite, professional and a pleasure to work with. Well …. I have never heard anyone describe building a house as “fun” ….but working with the Gabrielsen team is as close to construction “fun” as you can get. We renovated a house from the 1920’s and kept the feel of the original house throughout. It was a fairly large project completed in record time. The entire team put their absolute best into the project and the results reflect their experience and talent. Every member of the team does their absolute best every day. In this day and age -it’s hard to run across the level of commitment and integrity Gabrielsen Builders applies to every aspect of the project. We would like to thank all of you for our new Peconic Bay front dream home. We pinch ourselves whenever we come home. The fact that you were able to complete this large undertaking in a mere 8 months kept us from missing any time on the bay we love. We couldn’t have been any happier with the quality of home that you built for us. This was our first custom home. You were extremely patient with us. Your ability to anticipate potential issues and think on your feet saved us future unknown headaches. Your suggestions along the way turned out to be invaluable. You cared for every detail as if it were your own. You and your crew were courteous at all times and the ultimate professionals. Gabrielsen Builders truly went the extra mile for us. We cannot thank you enough.